This 42 gallon trash can with a mushroom lid and liner has a small opening that keep trash in and people out! These trash cans are made out of commercial grade plastic made in the USA. 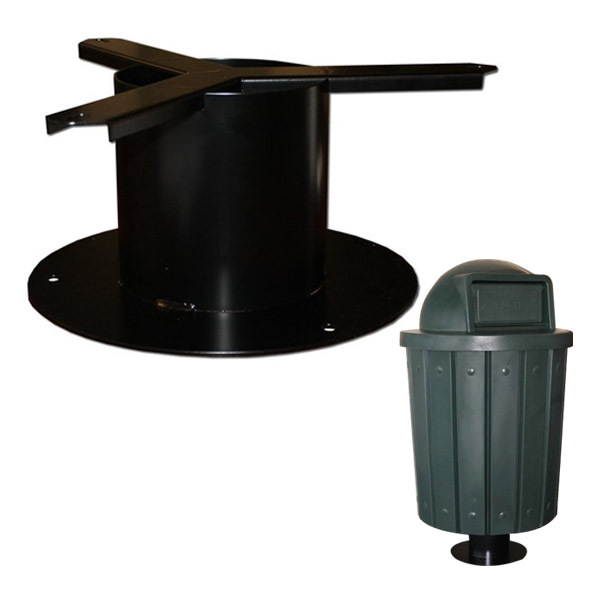 See below an option for mounting this trash can to concrete to prevent vandalism and add stability.